When I received this assignment, the notes indicated that Sabine would like her scroll to be written in French. I've been wanting to pen a dual-language scroll for a while, and this presented an opportunity. 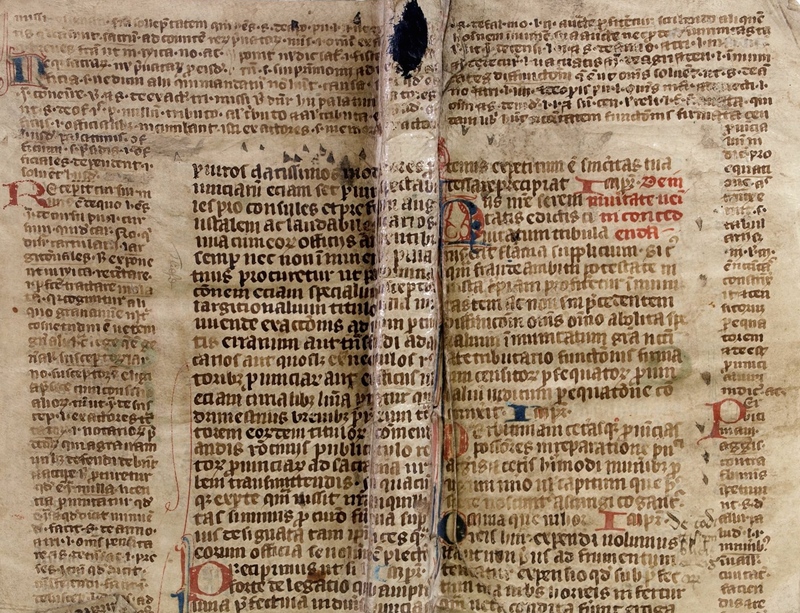 I asked Dame Brunissende for help with the text, and the SCA scribal community for help finding a dual-language original to use as inspiration. The hardest part about this piece was getting the spacing correct. I relied heavily on my word processor. I started, as usual, by figuring out the letter shapes, nib size and line spacing. I used this practice to roughly judge when line breaks in the french text would occur. 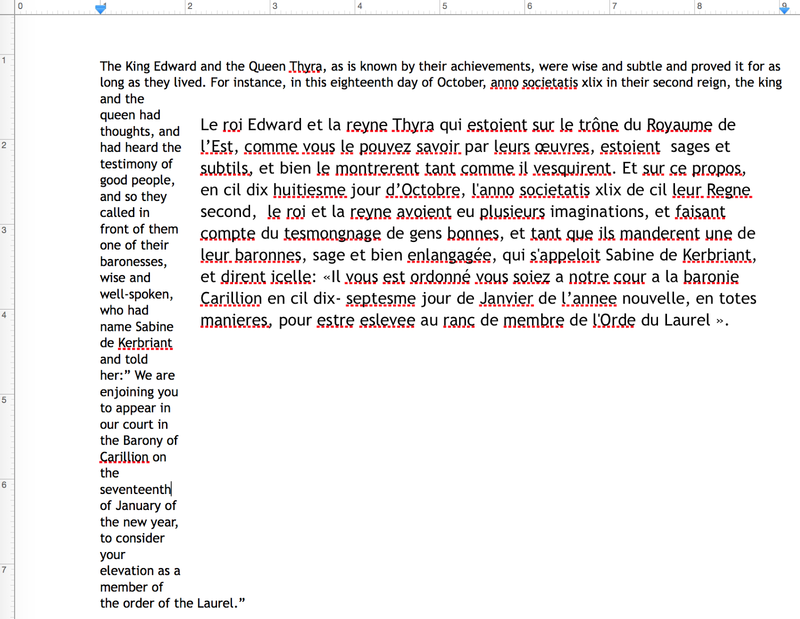 I then finished the main body of french text. Then I practiced with tighter lines and a smaller nib for the English text. Then I turned to the word processor. It's hard to describe my exact process, but I do have plans to write an article about it with examples at some point. In short, I figure out a font size that just about matches the hand I'm using in terms of width. I adjust the line spacing in the word processor to get the same number of lines per inch as I drew with my AMES guide. Then I adjust the margins to get an idea of where the line-breaks will be. As you can see, it's not an exact science. In this case, my word processor wouldn't allow me to wrap on both sides of the French text, so I wrapped on the left side only. I counted the short lines manually and switched to the right column when I had completed half of them.